‘research’ in the bubbles of the contemporary art. 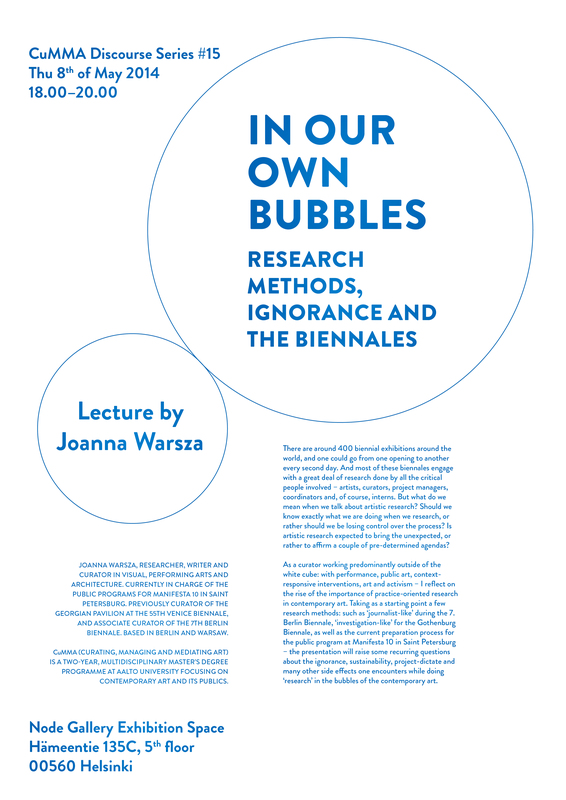 Joanna Warsza is a researcher, writer and curator in visual, performing arts and architecture. Currently she is in charge of the public programs for Manifesta 10 in Saint Petersburg. Previously she has acted as the curator of the Georgian Pavilion at the 55th Venice Biennale, and as the associate curator of the 7th Berlin Biennale. She is based in Berlin and Warsaw.